I realized the other day that Erik and I throw around the term “pantry staples” a lot in our posts. However if you’re not one to cook all that much, or are just getting into cooking on your own, you might not be aware of what types of food we mean (and there’s nothing wrong with that!). So I’ve compiled a list of pantry staples to help give you an idea of what ingredients are good to have on hand all the time. Flour is used in virtually all baking. You need to have it, there’s no buts about it! 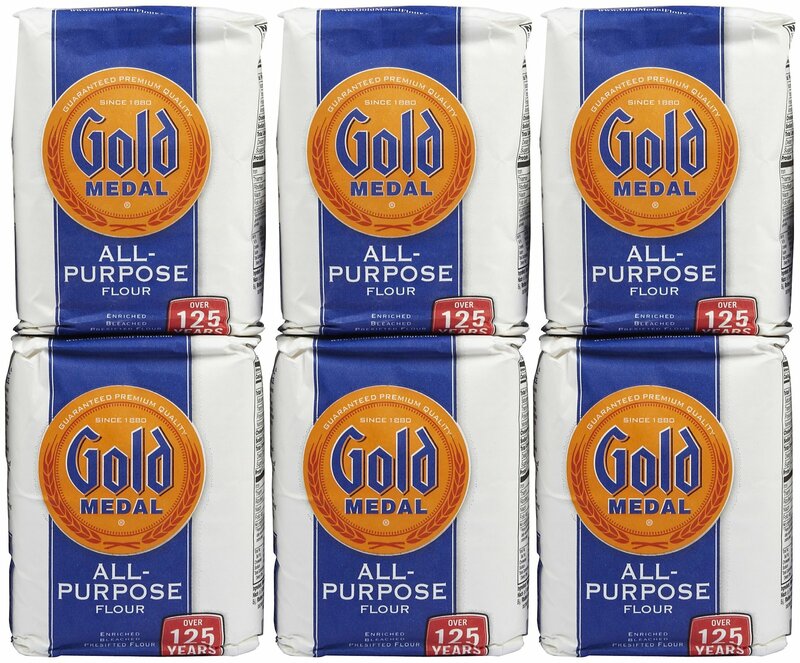 There are a lot of different types of flour available these days, but to keep on hand you can’t go wrong with good old All-Purpose flour. Whether you get bleached or unbleached is really a personal preference. Erik prefers unbleached because it’s less processed and healthier for you, but I’m fine with either. 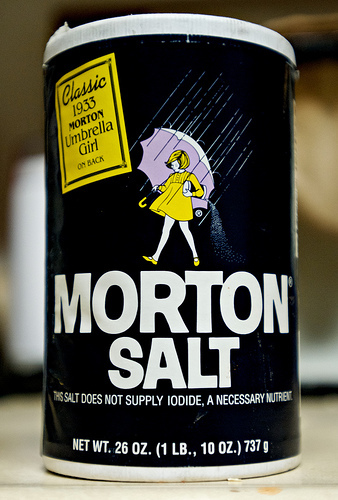 Salt is a necessity that you need stocked for all cooking period. Salt is used in everything, so never run out of it. Specifically table salt tends to be used in baking, while coarse salt (such as sea salt, crystalline salt, or kosher salt) can be useful in other cooking. Despite that, table salt is all you really need. 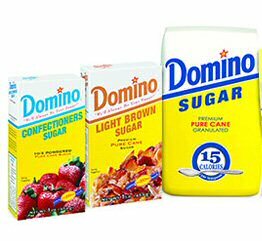 You’ll definitely want to keep plain, white refined sugar on hand since it’s needed in both cooking and baking to sweeten things. I would also recommend keeping brown sugar on hand, since it’s used not only in baking but in marinades and glazes as well. You could also keep confectioner’s (powdered) sugar on hand if you’d like since it is handy, but if your sugar budget is limited I’d get the brown sugar first. Almost all baked goods call for leavening agents, rather, something that makes your food rise. 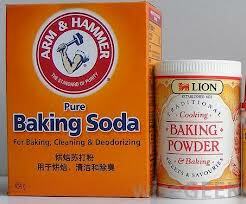 Baking soda is used in almost all baking, and when it’s not, baking powder is. There’s no way around it either since without them your baked goods will literally come out flat! So you definitely need to keep at least baking soda in stock. We recommend buying aluminum-free Baking Powder if you can, as aluminum is no good for you, and shouldn’t really be in your body. 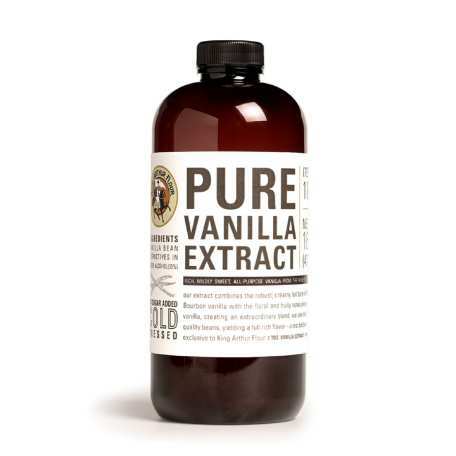 Vanilla’s also important to keep on hand for its use in baked goods since it’s a common additive to enhance various types of food. While it comes in many varieties, go with the extract, not the beans. For just everyday use the beans are way too expensive, and also too much work to get the flavor from. It’s good to keep both a vegetable or canola oil and an olive oil on hand since they’re the base for frying/sautéing, and often used as an ingredient themselves. 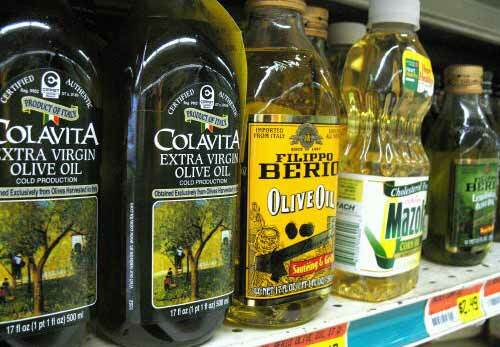 Oils can be stupidly expensive though, so it’s not the end of the world if you don’t have a wide assortment of them. One is enough, and generally used in lots of baking as well. There’s a countless number of spices out there, and with good reason. They’re what give each dish personality and flavor. Though there’s many to choose from some specific ones you’ll want to keep on hand include pepper (if you can get a pepper grinder for fresh ground that’s best, but not essential), cinnamon, garlic powder, paprika, and a chili pepper of your choice (cayenne, red pepper flakes, habenero, etc). The more you cook, the more your spice collection will grow, but this is a good start to cover most basic recipes and cooking. Like spices, some herbs are very useful to keep on hand whether they’re dried or home grown since they give flavor and make each food unique. There’s many different types of herbs you can find, but some of the most common you’ll need include basil, oregano, rosemary, and parsley. Cornstarch – like brown sugar is used to create glaze sauces as well. 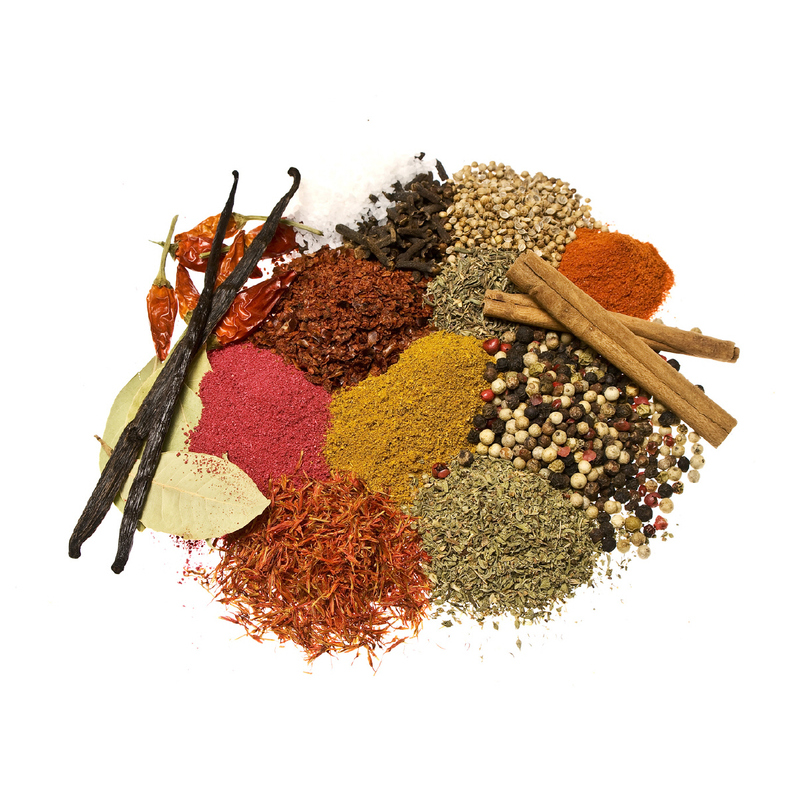 Spice Blends – spices/herbs that come pre-mixed such as Italian Seasoning or Herbes de Provence cut down on seasoning time if you’re in a rush. Rice and/or pasta – starches are always useful to have on hand to make as the perfect, easy side dish for your meals. Now you can go work on stocking up your pantry. And keep an eye out for my refrigerator staples post coming soon! Posted on October 25, 2013, in Food 101 and tagged herbs, kitchen essentials, knowledge is power, spices. Bookmark the permalink. 6 Comments.